Jeremy Corbyn has been fiercely criticised for a speech in which he sought to draw links between involvement in the “war on terror” and attacks on Britain’s streets. 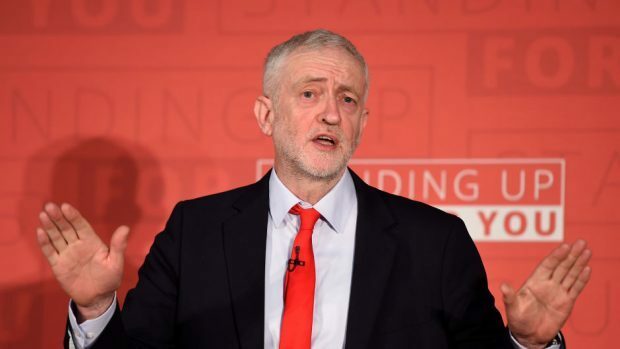 The Labour leader insisted no rationale, based on the actions of any government, could “remotely excuse, or even adequately explain” atrocities like the Manchester bombing. But he said “many experts” had pointed to the connections between conflicts supported by the UK Government and terrorism at home. He added: “We must be brave enough to admit the war on terror is simply not working. “No government can prevent every terrorist attack. If an individual is determined enough and callous enough, sometimes they will get through. Tories, including North East MSP Ross Thomson, lined up to condemn the veteran left-winger. The Aberdeen South candidate accused Labour of being “soft” on terrorism and defence. He added: “We cannot risk handing the keys to Number 10 to Jeremy Corbyn. Foreign Secretary Boris Johnson branded his position “monstrous”, while Defence Secretary Sir Michael Fallon accused Mr Corbyn of having a “very long track record of siding with people who want to damage and attack Britain”. Criticism also came from the Liberal Democrats and some in his own party. Lib Dem leader Tim Farron said the Labour leader had chosen to use “that grotesque act to make a political point”, while senior Labour politician Mike Gapes, a former chairman of the Commons foreign affairs committee, argued the UK’s foreign policy was the terrorists’ justification for their crime, not the reason. Allies came to his defence, however, including shadow attorney general Baroness Chakrabarti, and Mr Corbyn himself said the arguments should be heard “without impugning anyone’s patriotism”. Meanwhile, Nicola Sturgeon stated foreign policy could not be a “no go area” for debate during the campaign. The first minister stressed no-one was to blame for the Manchester bombing other than the terrorist and any accomplices.